Preheat oven to 200°C (400°F). Place the pastry on a large oven tray lined with non-stick baking paper. Using a small sharp knife, gently score a 2cm border around the edge of the pastry and prick the centre with a fork. 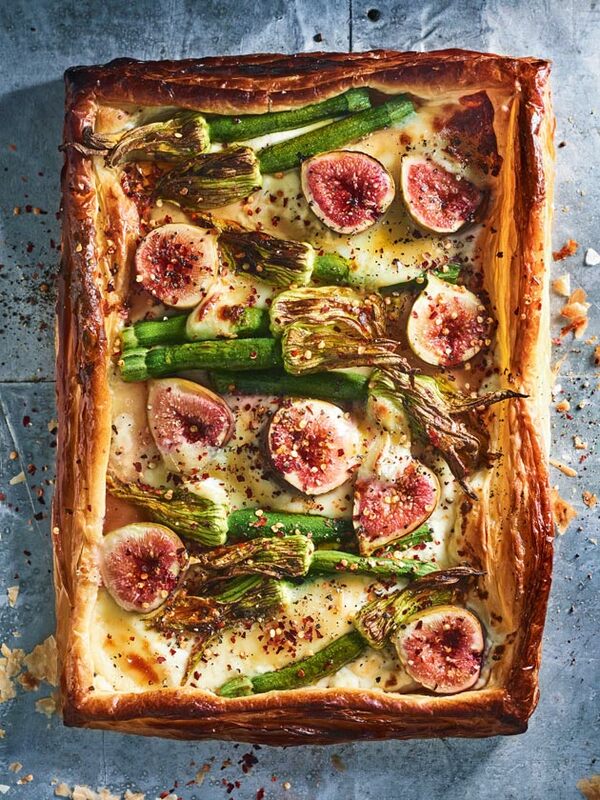 Top the pastry with the ricotta, goat’s cheese, zucchini and fig. Cook for 20–25 minutes or until the cheese is melted and bubbling and the zucchini is tender. Drizzle with the honey and sprinkle with chilli flakes and pepper to serve. Serves 8.